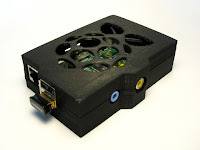 This post is a quick list of the steps it took to install mitmproxy on a vanilla Raspbian Jessie install on a Raspberry Pi. The compile steps take quite a while, which made the trial-and-error method of figuring out which libraries were missing to be a painful process. Hopefully this post will make it easier for anyone else trying to do the same thing. first to bring everything up to date. mitmproxy requires pyasn library >= 0.1.8. If the version is >= 0.1.8 you're fine. If, like above, it's version 0.1.7 then you'll need to replace it with a newer version. The pip repo contains 0.1.9, so I used that. If all goes well, you should now be able to run mitmproxy.